in the past years i have been in regular contact with andrew robertson from the centre of digital music at london’s queen mary university. he has been working on his vision of a device to make ableton live follow the tempo provided by a live drummer. he later came up with “b-keeper” a maxforlive device, which did quiet a good job. and now, this has turned into “beat seeker”, a handy and simple to use piece of magic. just switch between variable and fixed tempo using a midi controller or footswitch. this maxforlive device is fantastic for everyone who wants to free himself from having to play to a clicktrack, as soon as a sequencer running. 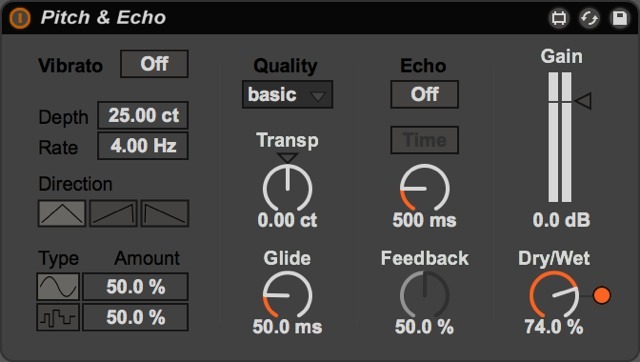 the update to version 9.2 of ableton live has brought us max 7 – and a bunch of new max- effects- and devices, amongst them finally also a pitch shifter. this article on ableton.com explains, how you get those new tools into your library.